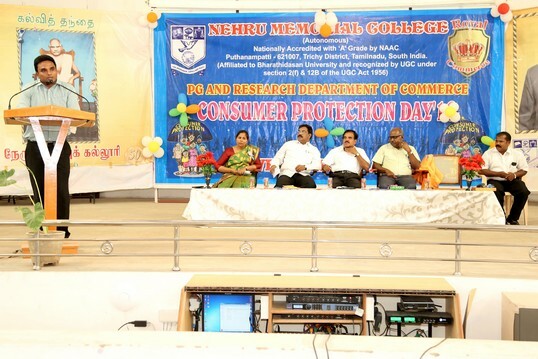 The Department of Commerce organized the programme on "Consumer Protection Day" on 12-03-2018 at 2.00 P.M. in our College Auditorium. Prof.A.Jannathul Firthoes, Head, Dept. of Commerce gathered welcome address. 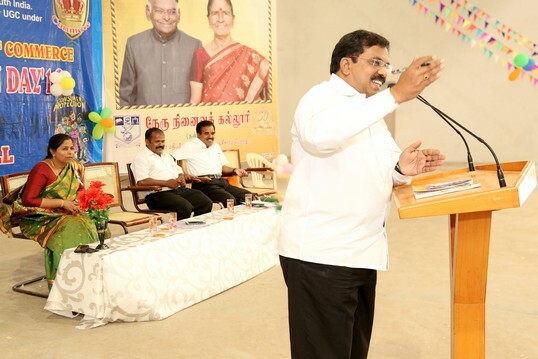 Dr.P.Neela Narayanan (Principal IC) and Controller of Examinations and also Dr.C.Prabhakaran, Dean of our college gave the presidential address. 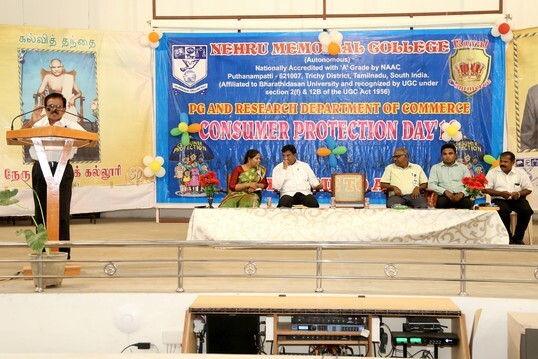 The Chief Guest Sri.A.Ganesan, B.A., B.L., Central Govt, Senior Panel Counsel, Madurai Bench, Madras High Court, felicitated the programme. 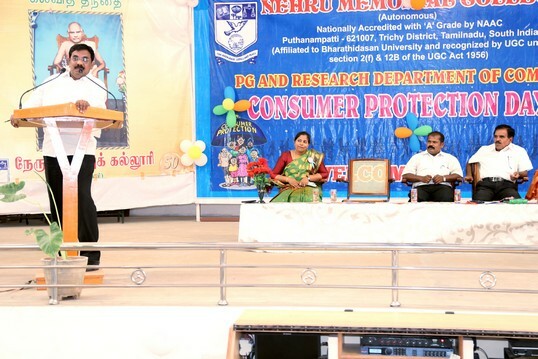 The Chief Guest Sri.T.Gangaiselvan B.A., B.L., Senior Advocate, District Court, Trichy delivered a special lecture on "Consumer Rights and Duties", how to behave the buyer beware and the consumer beware. He gave away the prizes to the winner of Quiz competition and also certificates to the participated students. Quiz competitions conducted by our Department. Sri.M.Selvam, M.A., B.L. Participated the programme. 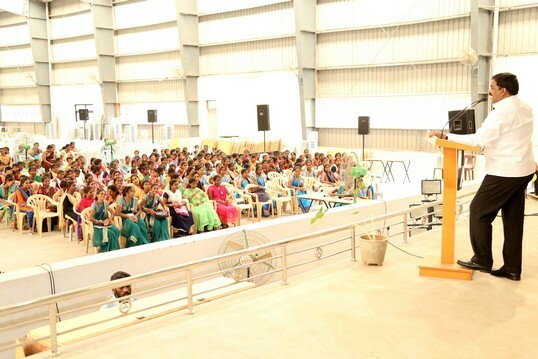 More than 600 students were participated and benefited through this programme. The session ended with the vote of thanks by Mr.S.Kishore, B.Com CA of our student. This programme ended peacefully.